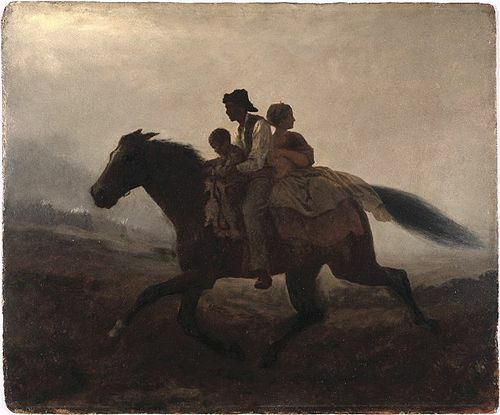 For years now, I've been covering poems about slavery with students in my literature courses. I'm aware that folks in African American literature courses typically read works by Frederick Douglass, Harriet Jacobs, and Henry "Box" Brown, for instance, to gain views of slavery. Those works are definitely important. However, for those of us who teach poetry, there are several poems that can broaden views as well. In my classes, we often start with Phillis Wheatley's “On Being Brought From Africa to America,” a short poem that generates a range of responses. From Wheatley, we've tended to go in a number of different directions depending on students' choice of interests. We've covered poems about Nat Turner by Opal Palmer Adisa ("Peeling Off the Skin"), Elizabeth Alexander ("Nat Turner Dreams of Insurrection"), and Alvin Aubert ("Nat Turner in the Clearing"). We've covered poems about Frederick Douglass by Paul Laurence Dunbar, Langston Hughes, Robert Hayden, Evie Shockley, Vievee Francis. Hayden's "Runagate Runagate" is another recurring piece that we cover, and Lucille Clifton's "slaveship" and Ishmael Reed's "Flight to Canada" are also always in the mix. We sometimes check out Amiri Baraka's "Wise I," Frances E. W. Harper's "Bury Me in a Free Land," and Natasha Trethewey's series "Native Guard." Alexander has an extended series on the Amistad rebels, and Kevin Young has a book-length treatment on the subject with Ardency: A Chronicle of the Amistad Rebels (2011). Thylias Moss's slave moth (2004), Quraysh Ali Lansana's They Shall Run: Harriet Tubman Poems (2004) and Frank X. Walker's Buffalo Dance: The Journey of York (2004) and When Winter Come: The Ascension of York (2008). This fall, in between classes or any other time I can steal away, I'll start working on some type of guide for approaching these and other poems on the subject.